! !PRICE REDUCED!! 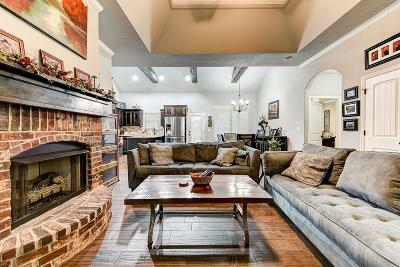 BEAUTIFUL, 4 bed, 2 bath home in the GATED Fall Creek Estates in HARRAH! Just minutes from the schools and Harrah's wonderful Heritage Park! Open concept living, dining and kitchen with gorgeous wood beams on vaulted ceilings. Kitchen has a great island and a large walk in pantry!! Granite counter tops throughout home. Lots of storage throughout as well! Wonderful back patio with STORM SHELTER close by!! This half acre lot backs up to mature trees offering you backyard privacy and a view of nature! Come out and take a look!